What does DriveDx name stand for? DriveDx = Drive Diagnostics. Dx is medical shorthand for Diagnostics/Diagnosis in USA and some other countries. Check drive “S.M.A.R.T. status” in the Apple Disk Utility. If “S.M.A.R.T. status” is “Not supported” – this means that something broke S.M.A.R.T. subsystem in macOS on your Mac. If you have “iStat Menus” app installed – it could be the root cause of the problem. Recent versions of “iStat Menus” app could break S.M.A.R.T. support in macOS. Check drive “S.M.A.R.T. status” in the Apple Disk Utility. If “S.M.A.R.T. status” is “Verified” – S.M.A.R.T. support is successfully restored. Learn more in our blog post. If you are getting update error “the app is running from read-only volume” but the app is in the “/Applications” folder. 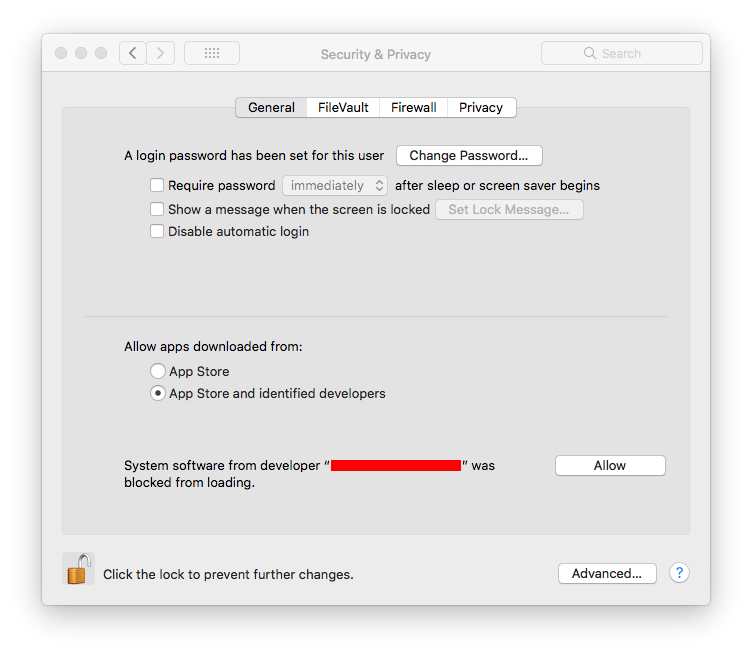 This is macOS security feature named “Path Randomization” introduced in macOS Sierra. macOS launches all recently downloaded (“quarantined”) apps from a special read-only volume with a random path. move app to the “/Applications” folder using (!) Finder. IMPORTANT: only Finder removes special “quarantine flag”, but third-party file managers are not! Most probably you are trying to launch DriveDx from the “Downloads” folder or you moved it from the Downloads folder using 3rd party file manager instead of Finder. Recent versions of macOS prohibit auto-launch of applications recently downloaded from the internet. This is macOS security feature named “Path Randomization” introduced in macOS Sierra. Move DriveDx app to the “/Applications” folder using (!) Finder. On modern SSDs (especially PCIe/NVMe-based) “Power On Hours” value may not include a time that SSD controller was powered and in a Non-Operational Power State (NOPS). This feature has a good influence on power consumption and drive’s temperature. In such case, the “Power On Hours” (raw) value could be relatively small as modern SSDs are very energy effective and extremely fast. On modern SSDs (especially PCIe/NVMe-based) power cycle may not include a time that SSD controller was powered and in a Non-Operational Power State (NOPS). This feature has a good influence on power consumption and drive’s temperature. In such case, the “Power Cycle Count” (raw) value could be relatively big as the number of power cycles is increased by 1 every time the SSD wakes up from Non-Operational Power State. See also question “SSD Power On Hours value is ‘small’”. Q: I’ve installed new SSD to my Macbook Pro for 2 days and is still showing “0” hours on the Power on time indicator in DriveDx report. Can you tell me why this indicator shows “0” although it has 7 power cycles count? Battery Cycle Count – shows the number of battery charging cycles. It refers to how much the battery is used. A single load cycle is the cumulative usage of 100% of the battery’s capacity. Temperature indicator raw value usually reports current temperature in Celsius. Current (normalized) value = 100 – raw value. Rating value in percent (and “progress bar”) shows the proximity of drive current temperature to temperature threshold (maximum allowed temperature limit) – how the drive is close to overheating. The smaller the rating the closer the drive to overheating. Raw value will be 55. DriveDx will auto start to warn you when the drive is close to overheating. If you want to disable temperature-related warnings – click on progress bar or rating value and choose “Ignore All Rating Changes”. You can suppress drive health warnings/alerts in DriveDx (not recommended but possible). These option is for advanced users only! Every drive health warning/alert is triggered by one or more health indicator warning/alert event(s). To suppress drive health alert you should suppress all health indicator current warnings/alerts. Please see “How to suppress health indicator warning/alert”. After that, you will be notified only in case of next change of drive health status. You can suppress health indicator warnings/alerts in DriveDx. Not recommended in general, but sometimes could be useful, for example if you replace the data cable and need to suppress “UDMA CRC Error Count” warning. These option is for advanced users only! In the opened popup window click button “Suppress Current Alert”. After that, you will be notified only in case of next change of health indicator status. In the context menu choose command “Reset raw value alert settings to defaults”. macOS High Sierra 10.13 introduces a new feature that requires user approval before loading newly-installed third-party kernel extensions (drivers). When a request is made to load a driver that the user has not yet approved, the load request is denied. This approval UI is only present in the Security & Privacy preferences pane for 30 minutes after the alert. Until the user approves the driver, future load attempts will cause the approval UI to reappear but will not trigger another user alert. MagicPrefs, BetterTouchTool, any other mouse/touchpad tweakers or any other tools that can capture mouse clicks must be disabled. macOS security system requires “Allow” button to be able to pressed only by user directly, any mouse clicks “proxied” by 3rd party software (by any app that captures mouse) will be blocked by system. If you want to learn more – please check official documentation from Apple . All 3rd party drivers (kernel extensions) should be updated due new OS X El Capitan (10.11) security policies. If you have previously installed driver for external drive diagnostic support – you must update it. You must uninstall previous driver version and restart your Mac before driver reinstallation (update). Update DriveX to recent version (menu “DriveDx > Check For Updates…”) or download it from our website. Start driver installation from DriveDx. Reconnect all your external USB/FireWire drives. Reboot your computer after driver installation. Try to install another version of driver. Uninstall current driver, download SAT SMART Driver v0.10 Install it. Check if your external drive enclosure controller is SAT (SCSI ATA Translation) capable. You can find list of devices that supports SAT technology here . Even if drive enclosure is SAT capable, current version of SAT SMART Driver may not support it. In this case you could submit an issue to developer . Mac OS X power management. Self-testing is a completely internal activity inside drive, OS knows nothing about it and may decide that drive is idle and should be put to sleep state. Tweak Mac OS X “Energy Saver” settings before starting drive long self-test. Go to menu “System Preferences… > Energy Saver”. Uncheck “Put the hard disk to sleep when possible” option, and if you are not planning any activity with your Mac during self-test – also it will be a good idea to disable “Computer sleep” setting too (or otherwise self-test will be interrupted when system goes to sleep). Drive is under heavy load. All self-diagnostic routines usually have the lowest priority and could be interrupted if drive is under heavy loaded. Try to (re)start self-test when drive is idle. Self-test can be aborted if 2 or more SMART check programs are running simultaneously, list of possible apps: DriveGenius (with enabled DrivePulse plug-in), iStat Menu, etc. Disable SMART check/monitoring in other apps because they excessively polling drive’s SMART subsystem that leads to unexpected abortion of all SMART-related operations. Health diagnostics of OWC Aura SSDs is not possible because this SSDs don’t support S.M.A.R.T. technology as stated in the official spec , see section “SMART Attributes”. Crucial M4 and RealSSD C400 SSDs with firmware earlier than 70H / 07M could become unresponsive after 5184 hours of Power-on time. The drive will recover after a power cycle, however, this failure will repeat once per hour after reaching this point. A firmware update for this drive model is available here . Seagate Momentus XT HDDs with firmware prior to SD26 could cause files corruption and system freezes. You can learn more info here . Critical firmware update for this drive model is available here . DriveDx is the most advanced drive health diagnostic and monitoring utility! Requires Mac OS X 10.6+.